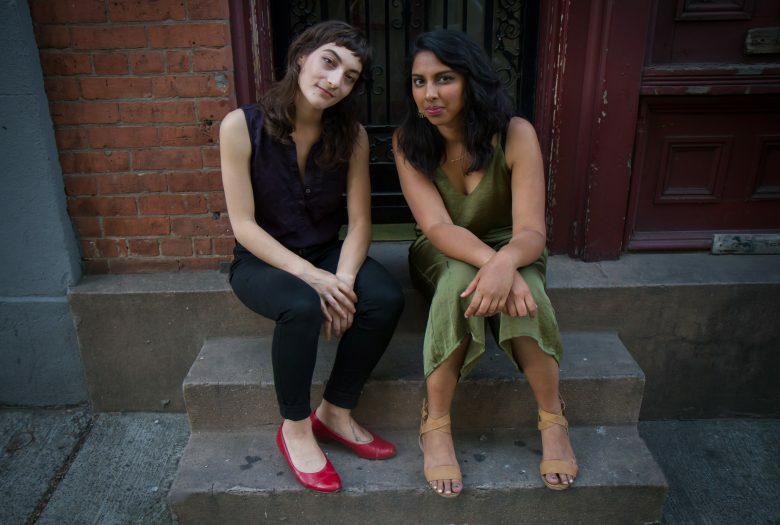 Virtuosic composer/vocalist Amirtha Kidambi continues her 2018 residency with Roulette to present the world premiere of Lines of Light. The piece is inspired by the title of the late Muhal Richard Abrams’s Levels and Degrees of Light and medieval composer Hildegard von Bingen’s reference to her vision of God as “The Shade of the Living Light” and brings together a group of female vocal powerhouses. Featuring Jean Carla Rodea, Anaïs Maviel, Emilie Lesbros, and Charmaine Lee, the quintet is a structured improvisation, intended to allow each vocalist to exercise maximum creativity within the larger framework of the piece. Following the Inauguration of Donald Trump, Kidambi assembled the group to freely improvise in order to form community with female musicians from diverse backgrounds in a time of extreme vulnerability and uncertainty. Developed out of Kidambi’s long-term vision to elevate vocalists within experimental music, as they have been historically marginalized due, in part, to the gendered nature of jazz and the avant-garde, Lines of Light showcases the increasingly high caliber of vocalists currently working in New York. The resident artist will also present a new improvised duo with Lea Bertucci on analog electronics. In the duo, Bertucci manipulates Kidambi’s voice through tactile methods with analog tape machine, by pressing on the reels and physically touching the tape. Kidambi reacts in turn with a vocal arsenal of timbral techniques, creating a literal visceral feedback loop of noise, processed, and amplified voice. Read Amirtha’s Spotlight Q+A with Roulette here. Amirtha Kidambi is invested in the creation and performance of subversive music, from free improvisation and avant-jazz, to experimental bands and new music. As a bandleader, she is the creative force behind Elder Ones, featuring rising New York stars Matt Nelson (Battle Trance/GRID) on soprano saxophone, Nick Dunston (Tyshawn Sorey Trio/Jeff “Tain” Watts) on bass and Max Jaffe (JOBS/Peter Evans’ Being and Becoming) on drums and electronic sensory percussion. The purposeful compositions are spiritually ecstatic and politically charged, influenced by her native South Indian Carnatic music, Alice Coltrane and free jazz, classical modernism, harsh noise, metal, and punk. Rooted in harmonium (Indian pump organ) and synthesizer lines and drones, Kidambi draws a line from the ancient to the modern in her eclectic band. Elder Ones’ debut album Holy Science released in 2016 on Northern Spy Records, drew critical praise internationally from such publications as the New York Times, Pitchfork, Wire Magazine, Jazzwise and Music Magazine Japan. 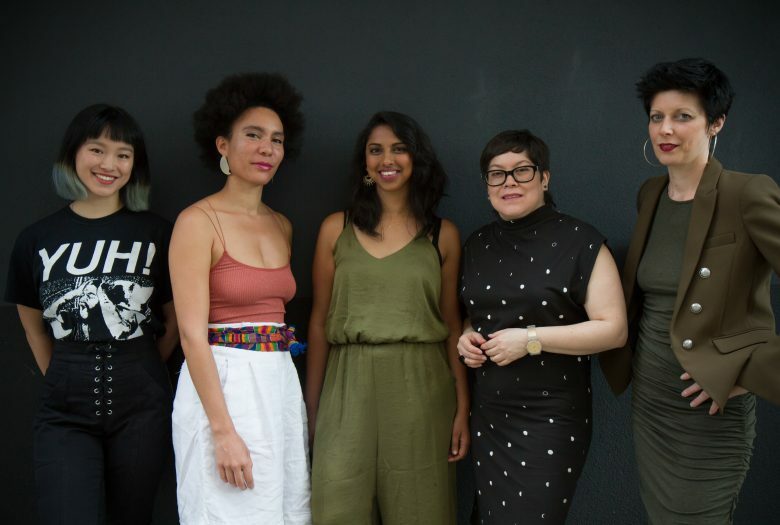 Kidambi will premiere her composition Lines of Light in 2018 inspired by Muhal Richard Abrams and Hildegard von Bingen, with an improvising vocal quintet for Emilie Lesbros (Darius Jones Quartet), Jean-Carla Rodea (Cecilia Lopez), Anais Maviel (William Parker) and Charmaine Lee (Nate Wooley Duo). Kidambi is a key collaborator in Mary Halvorson’s latest quintet Code Girl, duo with Darius Jones and his groups Elizabeth-Caroline Unit and Samesoul Maker, Maria Grand’s DiaTribe, duo with electronic musician Lea Bertucci,various groups with the legendary William Parker, Charlie Looker’s experimental folk band Seaven Teares and Pat Spadine’s new music ensemble Ashcan Orchestra. As an improviser, she has played with New York luminaries including Matana Roberts, Tyshawn Sorey, Ingrid Laubrock, Ava Mendoza, Fay Victor, Peter Evans, Ben Vida, Tyondai Braxton and Shahzad Ismaily. Kidambi worked closely with composer Robert Ashley until the end of his life, premiering his final opera CRASH and had the honor of working with Muhal Richard Abrams for the premiere of Dialogue Social. She has performed nationally and internationally in Europe and Asia, with Elder Ones and in collaborative formations for the Whitney Biennial, Carnegie Hall, Newport Jazz Festival, Berliner Festspiele (Germany), Festival Jazz Jantar (Poland), Borderline Festival (Greece), Bimhuis (Amsterdam) and Music Unlimited (Austria). She has received commissions, awards and residencies from the Jerome Foundation, Experimental Media and Performing Arts Center (EMPAC) and the Asian Cultural Council, studying Carnatic music in South India in 2017. She has recorded with visionary artists Mary Halvorson, William Parker, Kassa Overall, Ingrid Laubrock, Catherine Christer Hennix and others. Emilie Lesbros, born and raised in Marseille, France and later in Paris, is now based in New York. Lesbros worked as a vocalist and multi-instrumentalist (violinist, pianist, guitar player) in various contexts, engaging in eclectic musical projects ranging from rock, classical, jazz, electronic music, experimental, and performing art. She has released some acclaimed work under the name, Miss Elie. Anaïs Maviel is a vocalist, percussionist, composer, music director, educator, curator, and healer. Her work focuses on the function of music as essential to settling common grounds, addressing Relation, and creating utopian future. Jean Carla Rodea engages a variety of practices including music, visual arts, performance, research, and teaching. Raised in Mexico City and currently living in Brooklyn, the work is informed by identity, immigration, ritual, performance, ecology, construction work, improvisation and interaction with time/space.